Credit card rewards offer an excellent way to get value back every time you shop. But with so many types of rewards credit cards, it’s not always easy to know which type is best for you. The simplest and most straightforward form of credit card rewards is cash back. Since you can use cash for anything you want, it’s often preferable to complicated points and miles programs. If you’re considering a cash back credit card, here’s what you need to know. What are cash back rewards? As the name suggests, cash back credit cards offer cardholders cash back on everyday purchases, typically in the form of a statement credit, direct deposit, or a paper check. There are three types of cash back credit cards: flat-rate cards, bonus rewards cards, and rotating bonus rewards cards. With these cards, you’ll get a flat rewards rate on all of your purchases. Among the best cash back credit cards, the rate is 1.5 percent or higher. Flat-rate rewards cards are best for people who want a straightforward rewards program and for those who don’t spend a lot in any one specific spending category. Bonus rewards cards offer extra cash back on certain spending categories, such as groceries, gas, or dining. Depending on the card, you can have one bonus category or many, and the base rate for non-bonus spending is typically one percent. Bonus rewards cards are excellent for people who spend a lot in certain areas of their budget. But it can get complicated if you have to remember when to use that particular card instead of cash, debit, or another credit card. Also, the one percent base rewards rate isn’t ideal, especially if most of your spending doesn’t align with one of the card’s bonus categories. These cards offer a high rewards rate on certain categories that rotate every three months, giving cardholders a chance to earn bonus rewards on several different categories throughout the year. Depending on the cash back credit card you choose, you may get a chance to earn cash back on more than just your everyday purchases. For starters, many cash back credit cards offer sign-up bonuses. You usually need to spend a certain amount in the first few months to qualify for it, but the minimum spending requirement is rarely more than $1,000. Also, some credit card issuers have shopping portals or cash back offers. For example, BankAmeriDeals is a program that allows you to earn extra cash back when you activate deals and shop online through Bank of America’s website. With so many cash back credit cards on the market, it can be tough to narrow down your search to just one. To help, here are some of Money Under 30’s favorite cash back cards. This offer requires Excellent/Good credit. 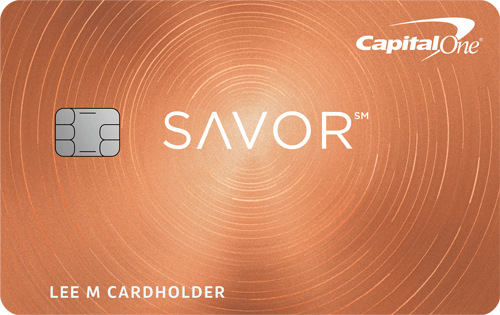 If you spend a lot eating out, the Capital One® Savor® Cash Rewards Credit Card is worth having in your wallet. The card offers 4% cash back on dining and entertainment, as well as 2% back at grocery stores and 1% back everywhere else. The Discover it® Cash Back is one of the few cash back cards that offer rotating bonus categories. You’ll earn 5% cash back at different places each quarter like gas stations, grocery stores, restaurants, Amazon.com and more up to $1,500 spent, when you activate. A flat-rate rewards card, the Wells Fargo Cash Wise Visa® Card offers 1.5% cash back on all of your purchases. You’ll get an additional 20 percent cash back on transactions made through mobile wallets like Apple Pay and Google Pay during the first year. The Bank of America® Cash Rewards credit card is a solid option if you spend a lot on groceries and gas. The card offers 3% back on a choice category (including gas) and 2% back on groceries and wholesale clubs on up to the first $2,500 in combined grocery/wholesale club/choice catgeory purchases each quarter. If you’re still not sure which cash back credit card is best for you, it’s important to compare them in context. Here are a few things to think about as you shop around. Most cash back credit cards require good to excellent credit to get approved. This typically means having a credit score of 700 or higher. If your score doesn’t meet that requirement, you may still qualify for a credit card for fair credit, which you can use to build your credit so you can get approved for a better card in the future. Since cash back credit cards offer various rewards rates or combinations of bonus rewards rates, it’s important to get a card that fits your spending habits well. If you spend a lot on groceries, for instance, you’d do well to pick a card that offers bonus rewards on grocery purchases. The same goes for gas, dining out or any other everyday spending category. You may spend a lot on groceries, but you might find it easier to use a flat-rate rewards card over a bonus rewards card. There’s no right or wrong answer to this decision, so it’s important that you know what you want. You can also apply this factor to other card features. For example, if you want a bigger sign-up bonus, go with a card that offers more than a couple hundred dollars. And if you’re completely against paying an annual fee, limit the scope of your search to those cards that fit those criteria. Who shouldn’t get a cash back credit card? Because cash is universal, you can’t really go wrong with a cash back credit card. But if you’re more interested in earning travel rewards or getting special travel perks, you may be better off getting a travel rewards credit card. Also, if you generally have issues with overspending and you think the idea of earning rewards on every purchase you make could tempt you to spend more than is necessary, it might be better to skip credit cards altogether for now. How can I redeem my cash back rewards? It depends on the card, but common redemption options include a statement credit, direct deposit, and paper check. Some cards also allow you to use your cash back to purchase gift cards. Before you get a credit card, make sure you know what the redemption options are. Also, read the fine print to find out if there’s a minimum redemption amount. Some cash back cards won’t allow you to access your rewards until you’ve reached $25 or $50 earned. Does my cash back expire? Typically, no. As long as you keep your account open and in good standing, you shouldn’t worry about losing the cash back you’ve earned. That said, you could forfeit your points if you fall behind on payments or if you close your account. Are cash back cards with an annual fee worth it? It depends. As with any credit card with an annual fee, it’s important to do some math to make sure you’re getting more value out of the card than you’d get from one with no annual fee. For example, the Capital One® Savor® Cash Rewards Credit Cardwafyzdatffxv offers a one-time $500 bonus, which pays for a little more than five of the card’s annual fees. Beyond that, calculate how much you spend on average within a card’s bonus categories, then determine whether the end result is better than what you could get with a no-annual-fee card. Are cash back rewards taxable? Typically, no. The IRS considers cash back rewards as a rebate, not income. There are still rare instances, though, where you might receive a 1099-MISC form for earned credit card rewards. In this case, you’ll need to report it because the card issuer reported it. What other benefits do cash back credit cards offer? Different credit cards offer different benefits. But in general, a lot of cash back credit cards offer an introductory 0 percent APR on new purchases, balance transfers or both. Also, many of these cards offer basic credit card benefits, such as rental car insurance, price protection and purchase protection, and more. 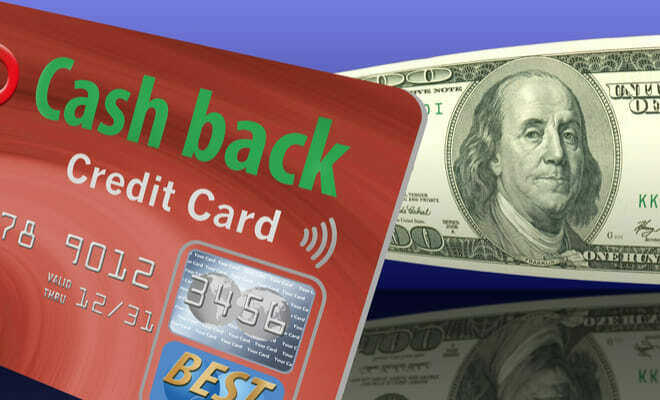 Cash back credit cards offer consumers a great way to get money back every time they shop. If you’re considering getting one, compare several cash back cards before you settle on one. Specifically, consider how each card can serve your needs and preferences and pick the one that best fits the bill. And if you’re really brave, consider getting more than one card so you can maximize your rewards. For example, you can use a bonus rewards card on categories that offer extra rewards, then use a flat-rate rewards card with a rate higher than 1 percent on everything else. Regardless of what you choose, it’s important to take the time to find the card that works best for you.